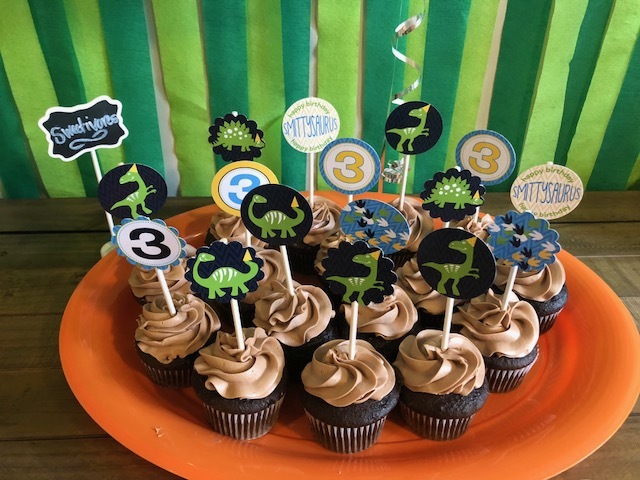 Smith turned three this spring and his mommy, Jessica threw him a dinosaur-themed party for the big day. 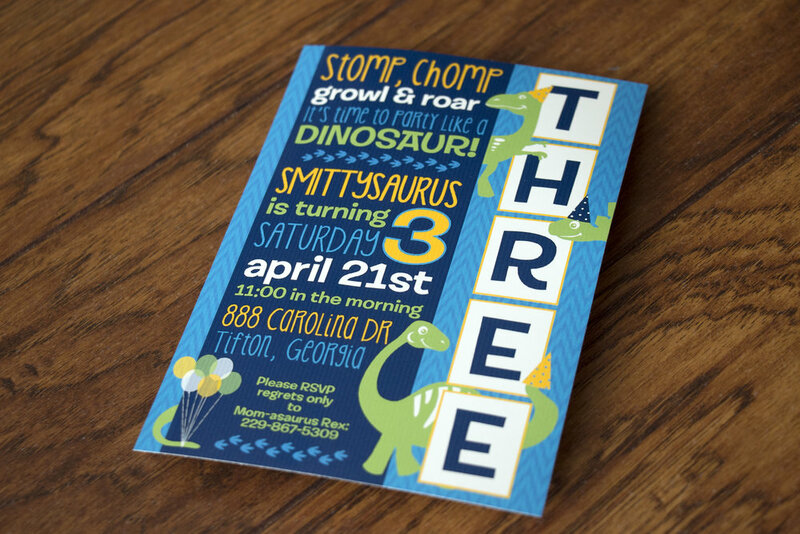 We went with lime green, yellow, and shades of blue for his custom birthday items. Jessica was gracious enough to send me a few photos from his party too, check it out! 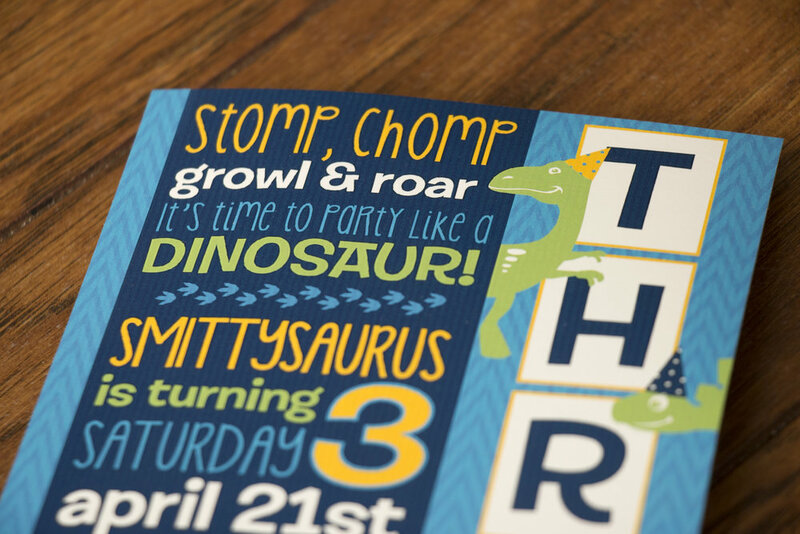 It looks like your party was a blast, happy birthday Smittysaurus! I look forward to creating our holiday card every year. I do a lot of design work for clients throughout the year, but I don't do much for my little family. We don't have elaborate birthday parties for our boys, so our annual holiday card is the one thing I get to work on that's entirely personal. A few years ago, a friend introduced me to a local photography company called FotoFly. They do unique Santa photos every year where one of the parents wears the Santa suit, hopefully ensuring that the kids are calm and happy for photos. The results produce some really beautiful and unique holiday photos. 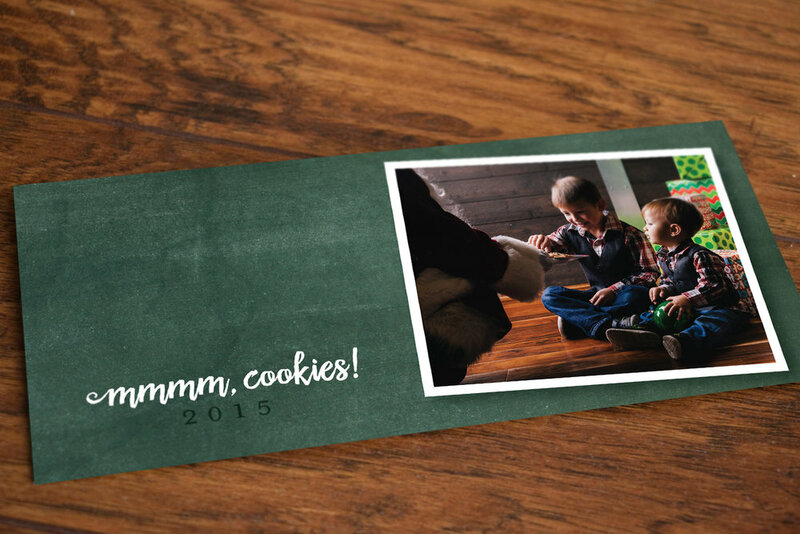 My boys and Santa have been the feature image on all of our holiday cards since the very first card I created in 2013. You can see other years here: 2014, 2015, and 2016. I used the fun knitted sweater texture that I created last year. My oldest requested a dark green background. And since our cards hardly ever include my husband and me, I added a little snippet at the bottom, "Bill & Alex send their love too." I had my cards printed with OvernightPrints for the first time this year. 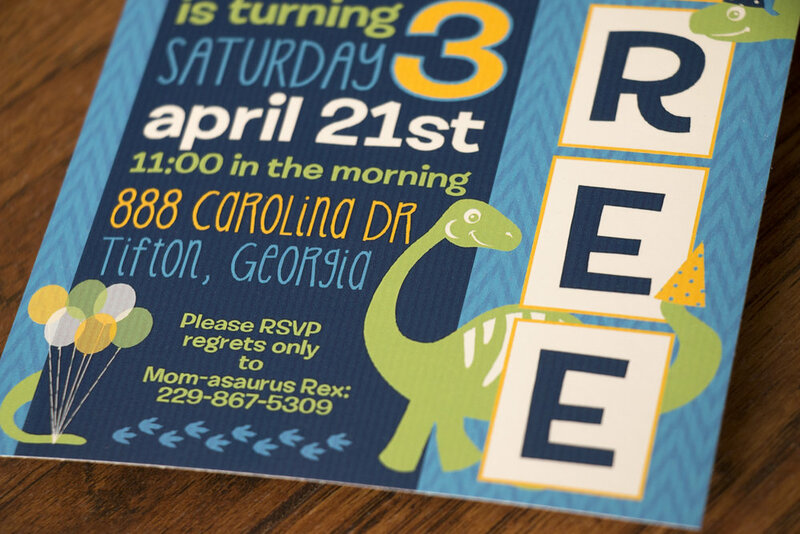 I've always used VistaPrint, but this year, both companies' pricing was comparable and a close friend of mine raved about the quality of her business cards that were printed with OvernightPrints. So I gave them a go. They didn't charge me extra to print my cards two-sided, which I love, so above is what I put on the back. Plus, only $1 to add rounded corners. Score! When I shared my photos on my Instagram account, I was notified shortly after Christmas that I won their Art & Design contest! Woot! Thank you so much OvernightPrints for not only beautifully printed holiday cards, but for the feature! Pretty sure you've created a very loyal customer. A few years ago, I created a t-shirt for the marching band from Notre Dame High School in Northridge, CA. A friend of mine, Linsdey and her husband, Chris both attended this high school and were still involved with their marching band. They were traveling to Dublin, Ireland for a school trip and wanted a t-shirt to commemorate. I researched different Irish and Celtic designs to come up with the finished product. I wasn't able to get one of the actual shirts to photograph, so I made this mockup. I'm really happy with how it turned out, especially with the design going over the shoulder. I hope the trip was amazing! Thanks! This was the second year we attempted to take Santa photos with both of my boys. Last year's card was such a hit (at least for me), that we dared do it again. This time, my mother-in-law was in town when we scheduled the photo session, so my oldest asked if she could be the one to wear the Santa suit. She was happy to oblige. Despite both my husband and me making silly noises and faces behind the photographer, our toddle simply would not smile! Meh, we tried. Thank you FotoFly for hiring photographers who are great with kids and take some pretty rad photos. He cracked a tiny smile when he got to eat a cookie though. He inherited my sweet tooth. We printed our cards with VistaPrint and I was thrilled to get them mailed well before Christmas. I'm pretty sure I can count on one hand how many times that has happened. This holiday card design is available in my Etsy shop in the fall. 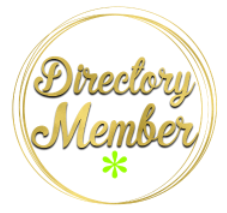 You can view the listing here. Merry Christmas!